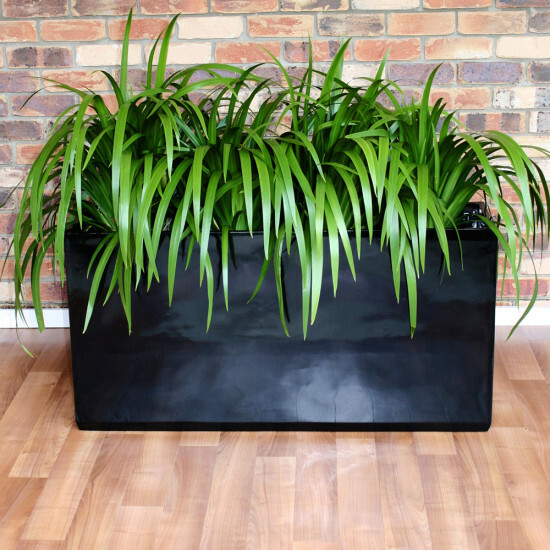 Unless you have a strong and confident background in gardening, horticulture or know someone who does, the research involved with planning your indoor office plants is extensive. All plants have different requirements to survive and even more requirements to thrive. Also, due to limited natural light, not all plants can live indoors, especially if your office has limited windows. At Trans-Plant, we acclimatise our high-quality plants for low light conditions, giving them the longest indoor lifespan possible. Understanding the needs of each plant and whether they will live happily indoors is crucial in selecting the right plants. By hiring plants, the whole research step is eliminated, giving you more time to do your job. Unless you are a design guru or Pinterest obsessed, designing where to place a plant, how many, and what variety is very difficult. If done wrong, the office can feel more cramped, and ill-designed with haphazardly placed plants. The aesthetic of an office is important as it can really affect the productivity and happiness of employees. One of the common mistakes by people who design themselves is misjudging size. Size in both the plant and the pot. The available space for a pot and plant should be measured out before purchasing. Also, if you try to cut costs with buying not fully matured plants (which is ok) you need to understand what size they will grow to, to in order you pot and office space is big enough. Buying the pots. You will need to head to a nursery, Bunnings or specific pot store. 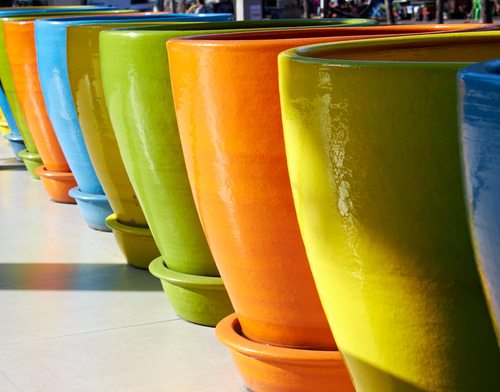 Pots can be very pricey, especially decorative ones. Delivering the pots. You will normally be charged a delivery fee from where you purchased the pot, or you’ll have to wrap it up well and stack them into your car (or a friend’s ute tray). Buying the plants. Visiting nursery after nursery, perhaps a Bunnings or two, looking for the exact plants you painstakingly researched. Only to realise, that the plants you want aren’t readily available in Brisbane. If they are source-able they will have to be ordered in (normally additional cost), which will delay the project. Delivering the plants. The plants will have to be delivered to your place of work, where the pots are waiting. Potting the plants into the pots. Hopefully, your office has a yard or a car park where the plants can be potted. If not then the plants are pots should be purchased from the same store so you can pay a fee and have that done there. The plants will have to be potted correctly or risk the plants dying very quickly. Placing the pots in the correct locations. Pots are heavy enough by themselves, plants potted in decorative pots are very heavy! 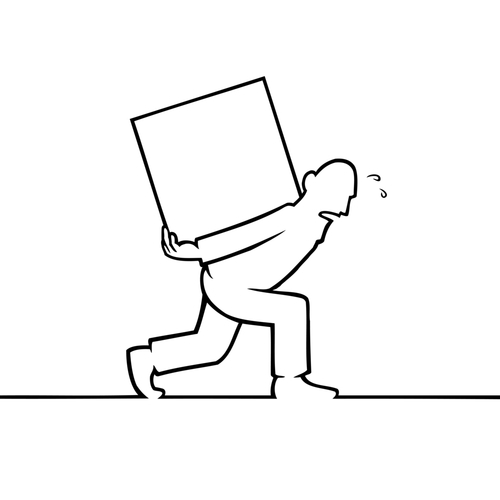 You will need plenty of people to help lift, guide and place the pots. Imagine how time-consuming and frustrating going through that process would be! If you permanently hire your indoor office plants through Trans-Plant then all this work is done for you. The plants and pots agreed upon in the design stage, are delivered and placed in the correct locations within your office. Quick, quiet and fuss free. Isn’t that appealing?! Also, Trans-Plant guarantees that all planters supplied by us are 100% waterproof, so no leaky pots! Once established your plants will need maintaining. Some plant varieties need more TLC than others. However, all plants will need water. Over and under watering is a real issue for offices where the employees care for their own plants. For some great tips on watering, see our previous article. Accountability is a big issue with plant maintenance in the office, do you make a roster so everyone must tend to the plants at some point? Do you take it all on yourself? 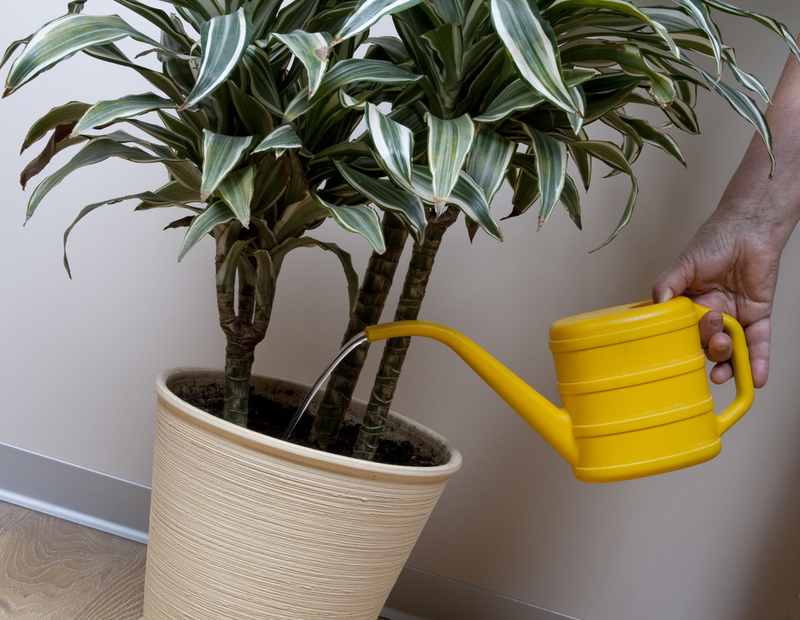 A lot of offices have employees who forget to water the plants, and they subsequently die. So your employees haven’t been keeping to the plant roster and the plants haven’t been watered in a very long time. They’ve died. This is a frustrating and expensive exercise for you. You now must buy a new plant, take the dead plant outside to discard, and re-pot the new plant into the pot, before placing back in the office. Trans-Plant knows when our plants reach their used by date indoors (and they will in office situations), in which case we replace them for no extra cost and before they look completely dead. This means your office will always have healthy, happy plants! Trans-Plant takes all the research, design, planning, maintenance and ultimately stress off your hands. We offer comprehensive services that involve you in the design process (making sure we meet your needs) then we cover the rest. We will come in on a regular basis and water, fertilise, prune and provide your plants with any necessary treatment to keep them nice and healthy. If a plant becomes unwell, we will promptly replace it for you. Contact us today for a free permanent hire quote including a design based on your plant preferences, and a detailed estimate of plants, and maintenance costs.